In this first installment of a series, accredited Singapore dermatologist Dr. Teo Wan Lin, founder and medical director of TWL Specialist Skin & Laser Centre discusses double cleansing. She designed a 7- step ritual for a home-based anti-ageing cosmeceutical regimen Dr.TWL Dermaceuticals available here. The purpose of skin cleansing is to remove by the process of emulsification- oil, debris , bacteria from the skin surface, as healthy skin has a good balance of normal skin flora(bacteria) as well as hydration and regular skin cell turnover rate. However, the cleanser must also respect what we call the skin barrier , which is our natural production of skin oils that helps keep skin moisturised. Traditional cleansers are essentially based on the most common SLS( Sodium Laureth Sulfate)-loaded ones which I would not recommend, as these are the cheapest forms of lathering agents available to cleanse skin and would strip skin dry and may even cause what we term reactive seborrhoea(overproduction of more oil). I recommend double cleansing for my patients who wear makeup. For those who don’t, I skip straight to step 2. Each cleanser has a specific purpose, essentially cleansing the skin while maintaining the skin barrier. Le Lait Cleansing Milk Make-up remover. Sensitive skin. Post-laser treatment. 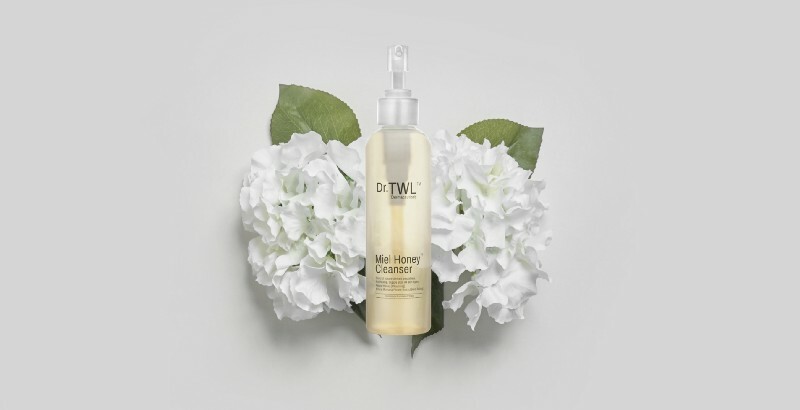 The Step 1 cleanser I formulate by Dr.TWL Dermaceuticals is based on a milk/oil-based emulsification, Le Lait Cleansing Milk, the concept is that oil and water do not mix and hence such a formula is effective in dissolving heavy makeup at the same time moisturising the skin. Miel Honey Cleanser Blend of nature-derived emulsifiers. Anti-flaking. Supple skin. All skin types. Step 2 of the cleansing ritual I recommend to my patients involves a medical-grade honey-based cleanser Miel Honey Cleanser that substitutes the need for a strong foaming agent such as SLS. Honey is a natural foaming agent and also moisturises the skin, besides having anti-bacterial properties. Especially in Singapore’s humid weather, it is important to have a second cleanser that foams up in order to cleanse skin of bacteria, yeast, dirt and oil as these can cause problems for skin, leaving the skin feeling clean, looking fresh and radiant, yet not dehydrated. 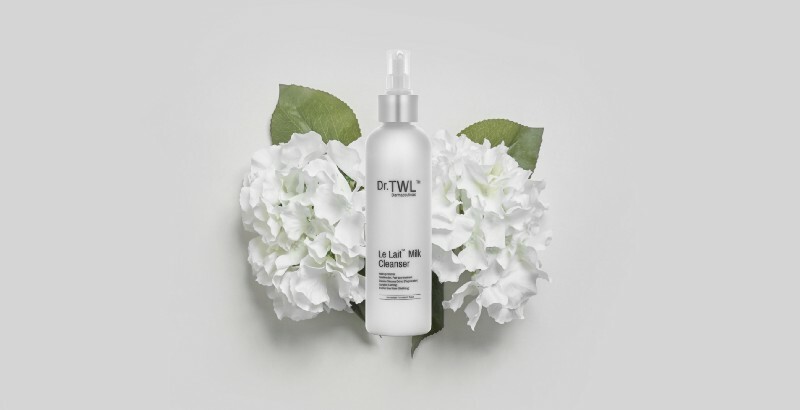 Dr.TWL Dermaceuticals is a specialist cosmeceutical skincare line founded and owned by Mr. Teo Zhi Liang, a pharmaceutical engineer and developed by his sister Dr Teo Wan Lin, an accredited dermatologist in Singapore. In a society deluged by a myriad of skincare products driven by the cosmetic and beauty industry, the brother and sister duo combined their professional expertise, and work directly with a top chemist to produce dermatologically-tested and formulated skincare for sensitive skin, with evidence- based active ingredients for skin rejuvenation and anti- aging. The skincare line is committed to using only the purest bioactive ingredients and is developed using state-of-the-art technologies in a certified biotechnology laboratory, with production processes conforming to manufacturing standards certified by the Euro ISO 22716.